Roger Federer marched into the fourth round at the Miami Masters following his 6-3, 6-4 victory over Juan Martin Del Potro. He will now take on 14th-seeded Spaniard Roberto Bautista Agut who came from a set behind to defeat Mexican Open champion Sam Querrey in the third round. Federer is now inching closer to winning the Sunshine Double i.e. winning the Indian Wells and Miami Masters in the same year. Winning both tournaments itself is a great achievement, and winning them in the same year is something that’s considered one of the toughest feats in tennis. Greats like Martina Navratilova, Martina Hingis and Rafael Nadal have never achieved the coveted Sunshine Double. However, over the years, there have been a few standout players who have been able to achieve this feat. Take a look. The first player to complete the Sunshine Double was former World No. 1 Jim Courier in 1991. At the time, the Indian Wells Masters was known as the Newsweek Champions Cup and the final used to be played in the “best of five sets” format. Courier was the 16th seed and he stunned higher-ranked players like Andre Agassi, Emilio Sanchez and Michael Stich en route to the final where he defeated 3rd seed Guy Forget in five exciting sets. Courier followed this with a victory at the Miami Masters (then known as the Lipton International Championships) where he was the 13th seed. He once again defeated Forget, this time in the fourth round, before beating fellow Americans Derrick Rostagno, Richey Reneberg, and David Wheaton en route to his only title at Miami. 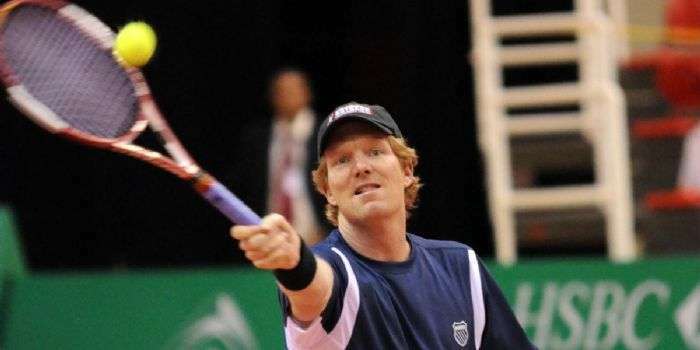 This was the start of a purple patch for Courier as he went on to win the French Open and reach the final of the US Open later that year. Interview with David Goffin: "Beating Roger Federer is my greatest memory"